The elves who help Santa Claus wrap Christmas gifts would be happy working among these beautiful multi-colored cyclamen plants. With white, red and pink colours, it's a perfect touch to bring a smile to any home. 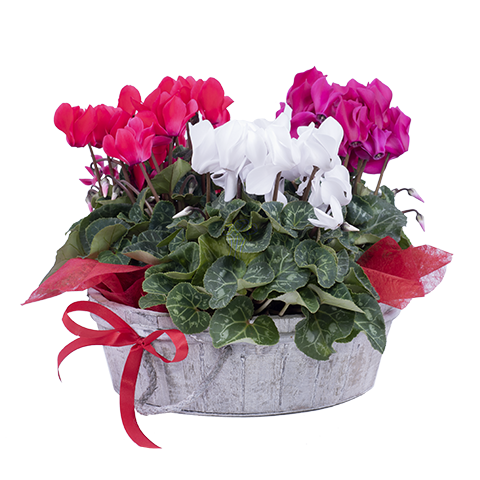 Believe in the magic of the elves ... and this cyclamen! delivery on time and well packaged. Thank you!